Cook County prosecutors are being forced to drop major drug cases against repeat offenders because the Illinois State Police Crime Lab is routinely failing to return forensic tests of suspected narcotics in a timely manner. CWBChicago told you about the problem in an exclusive report on Jan. 13th. More than 3,500 drug cases were dropped in Chicago alone last year because the crime lab's substance and purity tests were not returned promptly, we reported. • A four-time convicted narcotics dealer who’s on parole has had two drug cases spiked since December. Now, he’s allegedly been caught with a large amount of heroin AGAIN. First up, let’s meet Stacey Means. The 28-year-old was paroled last year after serving part of a nine-year sentence for narcotics distribution. He previously went to prison for narcotics in 2010, 2011, and 2012, according to state records. On Nov. 13, police said they saw him standing on a West Side street yelling “Blows! Blows!” That’s a street term used to solicit heroin sales. After watching a hand-to-hand transaction, police moved in, arrested Means, and allegedly found 19 bags of suspected heroin and five bags of suspected crack in a storage box. He was charged with two felony counts of possessing a controlled substance. Then, on Dec. 10th, he was charged with another two counts of Class X felony manufacture-delivery of heroin near a school after cops working a POD camera allegedly saw him selling dope five homes down from where he was arrested in November. On Dec. 20th, the November case was thrown out due to lack of laboratory results. The next day, the Illinois Department of Corrections revoked his parole and Means went back to prison due to the December case. Then, on Jan. 9th, prosecutors were forced to drop the December case because (again) the crime lab had not returned tests. Two days later, Means was released from prison because he was no longer considered to be in violation of his parole. Late last week, Means was arrested on the West Side again. This time, police say they caught him with 35 grams of heroin and more than two grams of cocaine. 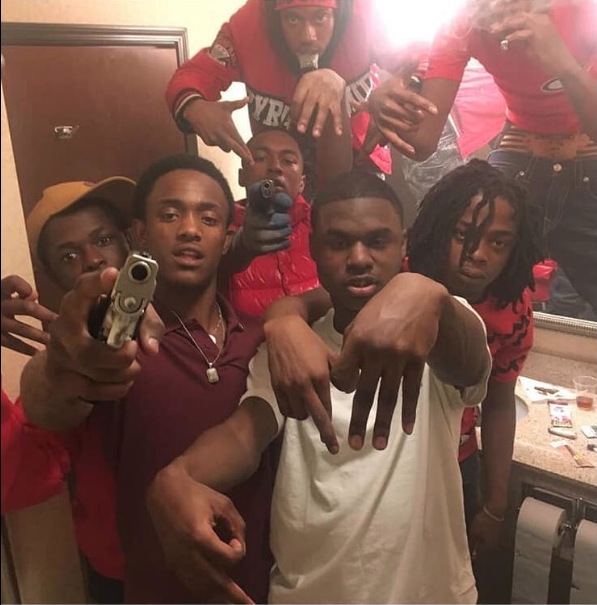 Prosecutors on Saturday told Judge Sophia Atcherson that Means is a high ranking member of the Traveling Vice Lords and he’s a driving force of violence in the area of Chicago and Homan Avenues. 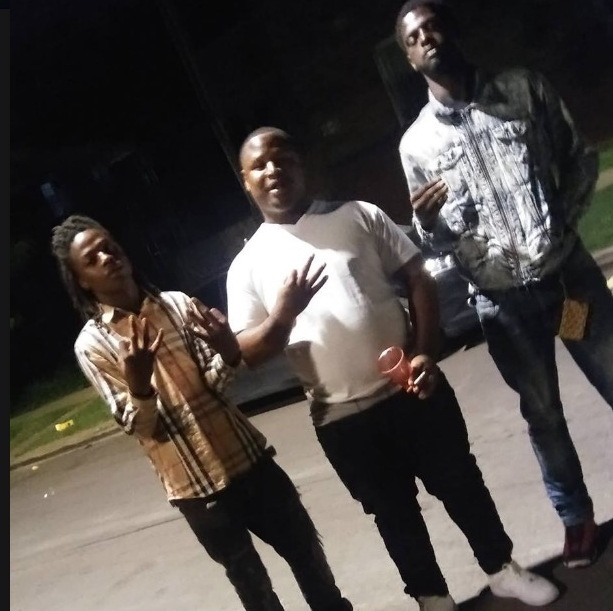 The prosecution went on to say that they hope to have Means indicted by a Grand Jury this week for the November and December cases that had been thrown out due to “no labs” and they then displayed images from Means’ Facebook page showing Means and others throwing up gang signs, pointing guns, and displaying cash. In the end, the state asked Judge Atcherson to set a high bond. After hearing all of that, Atcherson somehow decided to release Means on a recognizance bond. Police were driving in the 200 block of South Keeler around 10 a.m. on Jan. 3rd when they allegedly saw 26-year-old parolee Derrick McCampbell remove a baseball-sized object from a hidden compartment in the air vents of his car, according to a police report. McCampbell was pulled over, and police reported finding 120 grams—more than a quarter pound—of suspected heroin divided into 183 baggies plus $5,855 cash in his car. Another $372 was found on McCampbell’s person, police said. After being read the Miranda warning, McCampbell told officers, “I sell drugs to provide for my three kids and I have to do what I have to do to make money. I have never been caught with this much, though,” according to an arrest report. McCampbell, who has been on parole since Dec. 5th after serving half of a three-year sentence for selling cocaine to an undercover cop near a school in 2015, was charged with Class X felony manufacture-delivery of heroin. But, when the state’s narcotics tests had not been returned by McCampbell’s second appearance on the charges Friday, prosecutors were forced to drop the case. Then, there’s the case of 26-year-old Lamont Pitts. Police say they found him in the 4000 block of West Jackson with 75 grams of heroin worth $11,250 divided into 126 baggies on the morning of Jan. 5th. Cops said they also recovered $2,000 cash. Prosecutors charged Pitts with Class X felony manufacture-delivery of heroin. But, once again, the state failed to return forensics testing on the suspect drugs in time for Pitt’s second court appearance last Friday. Charges were dropped. Pitts is currently awaiting trial in a previous case that has him facing charges of manufacture-delivery of heroin in the 4300 block of West Van Buren last August, according to court records.